Pasta has always been one of my favourite ingredients. It’s just so versatile, you can incorporate such a vast variety of flavours and textures quickly and easily, it’s no wonder it’s become such a staple ingredient in our store cupboards. I’d wanted to try making my own pasta for ages and after lots of research and pinching a few tips and methods from various sources, this is the basic method I’ve settled on. This makes a fairly generous portion, if I’m cooking for 4 I’ll probably use 3 eggs + 300g flour. 1. Sieve the flour into a bowl, keeping a scoop back to use later to dust the work surface or add to the mixture if necessary. Add a generous pinch of salt. 2. 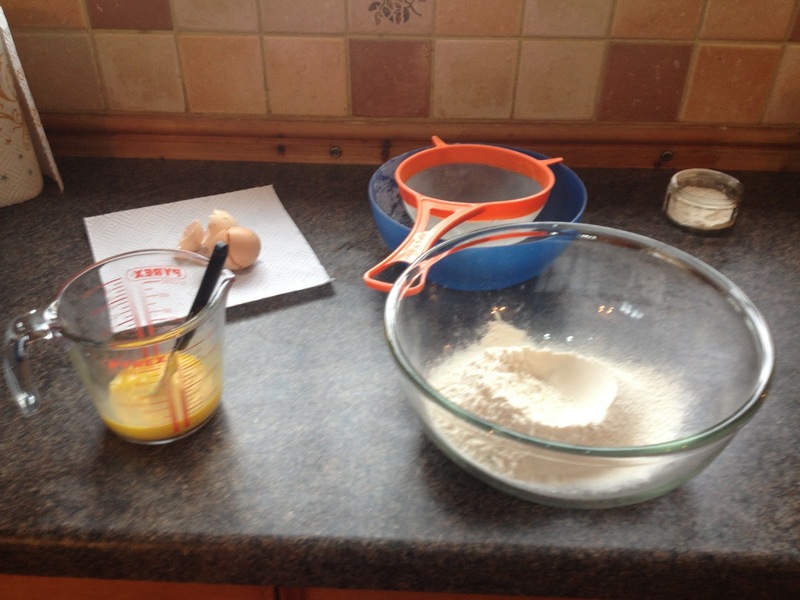 Whisk up the eggs separately and create a well in the flour to pour them into. 3. Add the eggs a little at a time, working the mixture together with your hands (yes this one’s messy). 5. 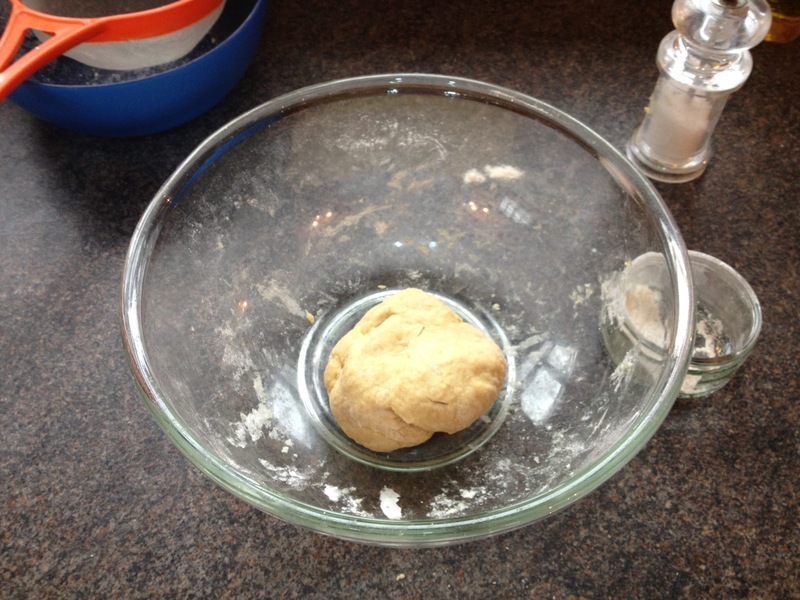 Knead the mixture into a ball. Wrap in cling film and leave to rest in the fridge for a minimum of 30 minutes. It doesn’t matter if you leave it for longer, I usually mix the dough up in the morning and leave in the fridge while I go about my day. 7. The simplest way to create a basic pasta shape is to cut it into tagliatelle strands. 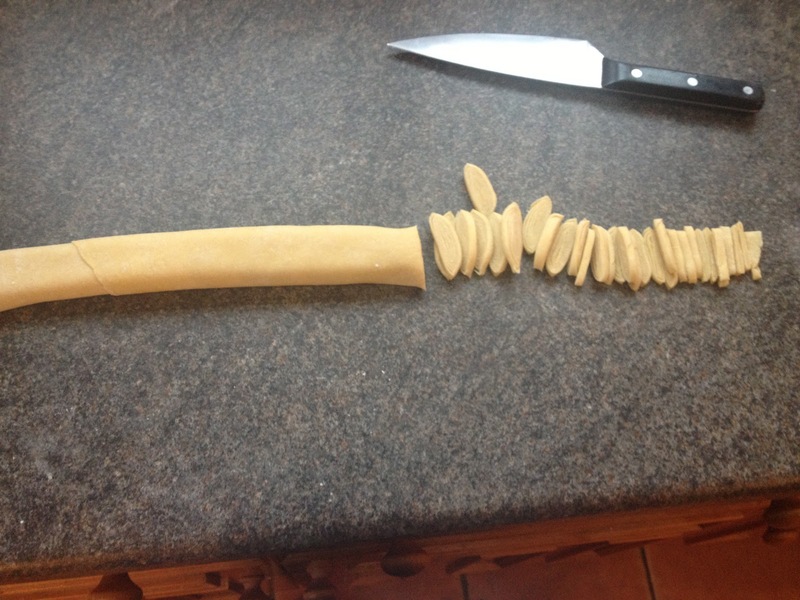 Roll up your flattened sheet of pasta like a swiss roll, you can then cut half centimetre widths which will unroll into long strands of tagliatelle like below. 8. 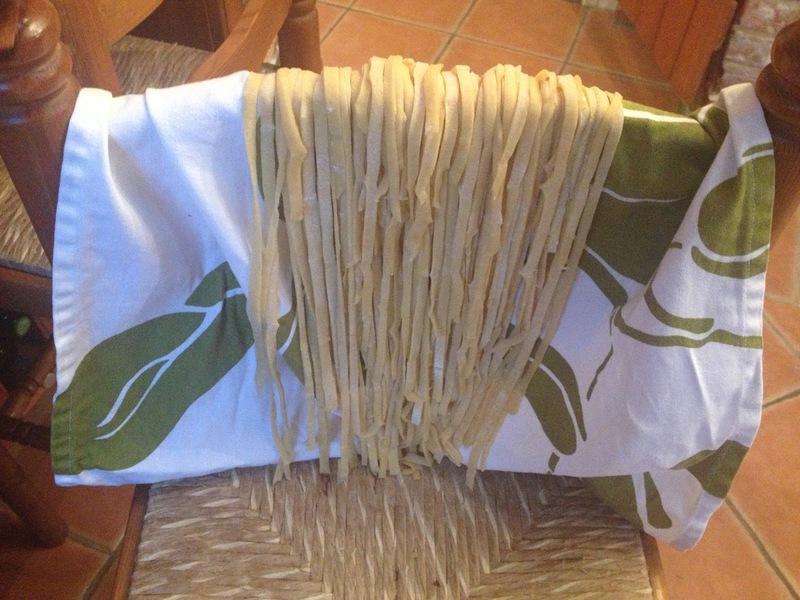 Find somewhere clean and dry where you can hang your pasta and let it dry out. The back of a chair, or an oven door handle are ideal. Leave to dry out for 30-60 mins. 9. 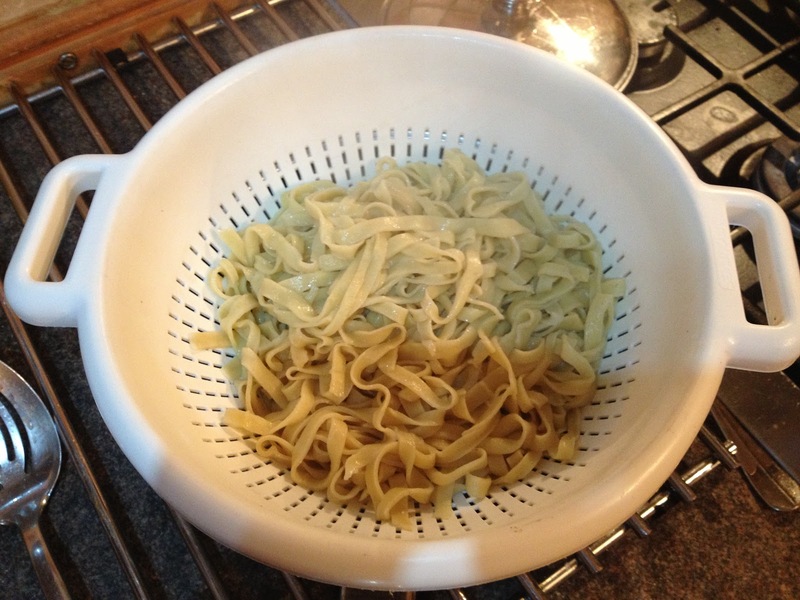 To cook boil a pan of salted water, ensuring the pan is large enough to allow the pasta plenty of room for movement. 10. Drop the pasta in carefully when the water is boiling and cook for 2-3 mins until al dente. 11. Drain the pasta and serve with a sauce of your choice.